Many individuals choose the security of a company job. Some, however, are not afraid to take the risk of an uncertain future brought about by starting new businesses. Such is Eliseo Mislang, 35, from Sibut, San Jose City, Nueva Ecija. He started raising dairy buffaloes in 2011 as an extra venture. A couple of years later, he decided to resign from his regular job and go full-time into dairying. Known to friends as Eli, he used to be a sales agent in a popular soft drinks company. 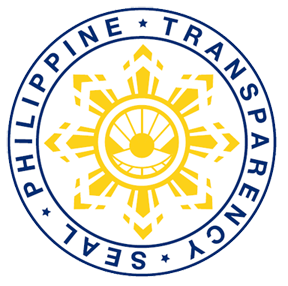 For almost seven years, he earned a daily salary of Php350 on top of incentives when he reached his quota. He also had a chance to rise in the corporate ladder and receive higher compensation as long as he continued to excel in his work. Eli, however, decided to let go of all these benefits when he chose to devote his time to raising carabaos. “Well, I decided to take the plunge. I opted to go into dairying full-time,” he added. His wife, Helen Grace, 34, agreed with his decision. Eli’s dairy buffaloes are purebred Brazilian Murrah. The animals were loaned to him by the Philippine Carabao Center (PCC) in 2011 when he joined the Eastern Primary Multi-purpose Cooperative (EPMPC) in their village. Although Eli started raising dairy buffalo in 2011, the business was not totally new to him since he used to help his uncle who owned several dairy buffaloes. From one dairy buffalo, Eli’s herd has grown to 19 animals to date. When Eli started milking his animals, he collected about five to seven liters from one carabao per day. Since January this year, however, his milk collection peaked to nine liters from one animal per day when he started to milk his carabaos twice daily, a technique he learned from PCC. 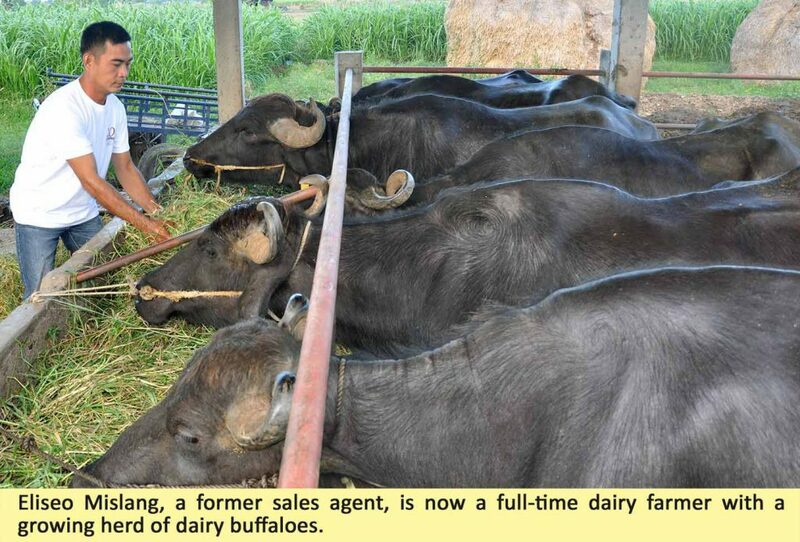 Because of this, the former sales agent now earns some Php25,000 a month from his six lactating dairy buffaloes. He expects to see an increase once his four other female buffaloes get pregnant too. Three years into their buffalo-based business, Eli and his family have seen a lot of improvement in their lives. He repaired and expanded the pen housing his buffaloes. He was also able to purchase additional land that is now planted with napier grass for his animals. His income in dairying afforded him to also fund his onion business that earns him almost Php50,000 in one season. Instead of him receiving a salary, Eli now pays two assistants who help him in the dairy enterprise. Eli is convinced about the benefits of dairying. Thus, he wants to expand his herd like his uncle-mentor Marcelino Mislang, a successful PCC-assisted dairy farmer whose herd of Murrah buffaloes has considerably grown over the years. Eli may no longer have the chance of becoming a company supervisor or receiving bonuses. But if he lost a good, stable job, he has gained a much better opportunity. “Because of buffalo’s milk, I now have a lifetime business,” Eli gratefully declared.